Please see the information below about scholarship opportunities for your students! Spread the word! 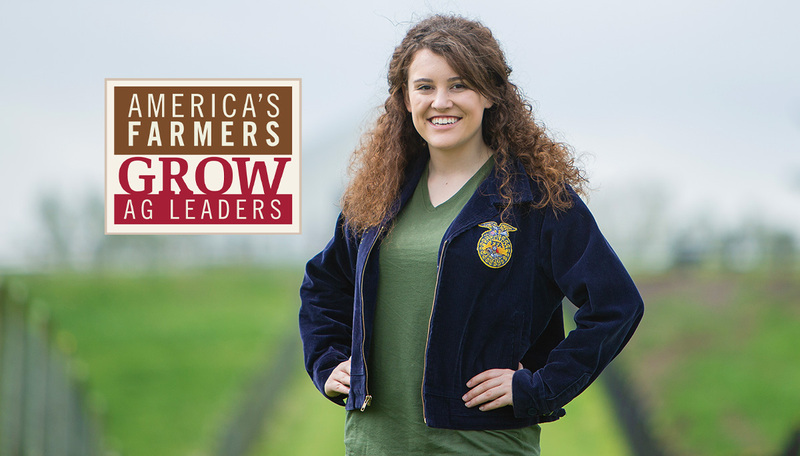 Help the next generation of ag leaders apply for scholarships. There are countless career opportunities in agriculture, and they aren’t just in farming! However, many students aren’t aware of the diverse possibilities. America’s Farmers Grow Ag Leaders, sponsored by the Monsanto Fund, a philanthropic arm of Bayer, is offering more than $500,000 in scholarships to high school seniors and college students pursuing an ag-related field of study. Students (including non-FFA members) can apply now for a $1,500 scholarship, and they need your endorsement to qualify. Copyright © 2018 Monsanto Fund, All rights reserved. You are receiving this email because you opted in via enrollment of one of the following programs: America's Farmers Grow Communities, America's Farmers Grow Rural Education, or America's Farmers Grow Ag Leaders.